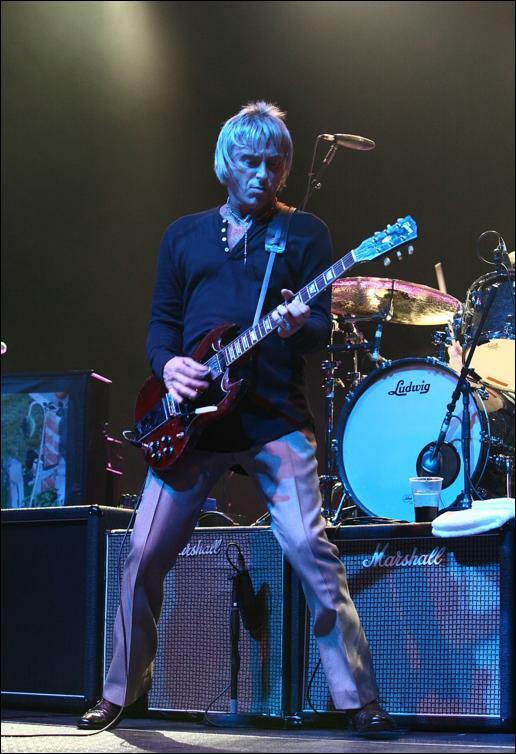 Paul Weller In Glasgow – Gig Review! – Paul Weller News! 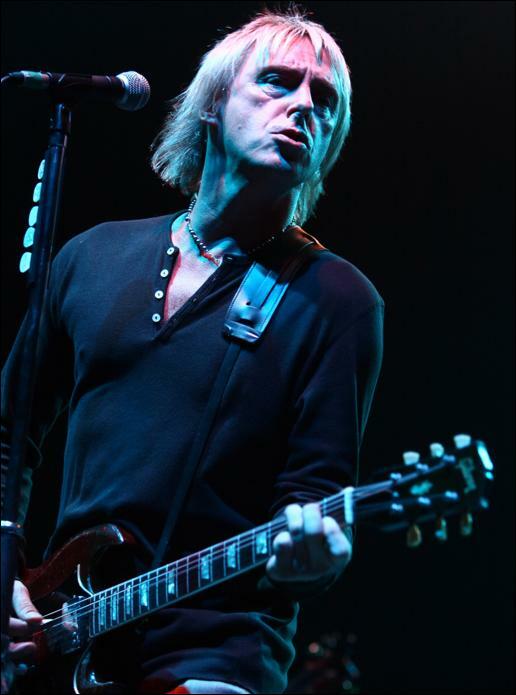 Paul Weller In Glasgow – Gig Review! 1 Comment on Paul Weller In Glasgow – Gig Review! ARM windmilling above his head, the Modfather clips out the glittering guitar chords of a sensational Peacock Suit. With guitarist Steve Craddock and the rest of the band on blazing form behind him, it’s a moment to savour. Just a few minutes into this incredible show and it’s already shaping up to be something spectacular. Closing in on the end of a world tour to promote the stunning 22 Dreams LP, Weller is at the peak of his powers. That signature voice has never sounded better and it’s clear he’s having a ball as he delivers a dazzling display that draws from every phase of his career. That turns out to be a stunning rework of his Style Council hit Shout To The Top, which is quickly followed by one of this show’s dozen or so should-have- been-there moments when the band launch into a spectacular Eton Rifles. Not even when Oasis played Morning Glory here last week did the crowd manage to sing as loudly or as lustily. The new album is well represented by nine of tonight’s 28 songs, including a sizzling Have You Made Up Your Mind and an equally cracking Echoes Around The Sun. But on classics like Changing Man, Wild Wood and a spine-tingling That’s Entertainment it’s Weller himself who impresses most, alternately tearing out glittering guitar solos or pounding out keyboard lines. He’s an extraordinary frontman, as good now as he was back when The Jam played their first Scottish show at Edinburgh’s Playhouse. He stamps his feet, jerks his shoulders as he pulls silvered chords from his electric guitar and cuts the same hipster dance moves he did as a fiery 19-year-old in 1977. He pauses for a quick breather in the shape of an acoustic interlude, which combines a heart-stopping Misty Morning with The Who’s Magic Bus and a mesmerisingly powerful Butterfly Collector. Then he straps on the electric once more and launches into show-stopping finale that climaxes with a blistering Come On Let’s Go. The crowd, as you’d expect, respond to the intensity onstage by going suitably wild. And Weller himself seems just as excited as the final chords ring out he bounces on the balls of his feet, kisses his fist and punches the air. “What can I say? We’ve been everywhere over the last few months,” he says, visibly moved by the audience reaction. “All over the world. The encore is worth the price of admission on its own. As he plunges into That’s Entertainment, you get the feeling the roar of approval can be heard for miles around. As he spits those beautifully-honed lyrics about life in smalltown suburbia, it’s hard to think of a more exceptional moment. Until, that is, the video screen behind him flickers into life, projecting images of 9/11, Vietnam, Lennon’s peace protests and the assassination of John F Kennedy over a devastating version of Whirlpool, Weller crunching out guitar chords as Craddock tears out a gleaming solo. Few could top such a moment. But Weller still has a few smart-bombs in reserve and he detonates one – in the shape of Town Called Malice – to bring this show to a fitting climax. When it all ends, he punches the air again in triumph. He deserves to. What a show. thought the rifles were disapointing before! Previous Entry Paul Weller In Aberdeen – Gig Review! Next Entry Paul Weller In Glasgow – Set List!